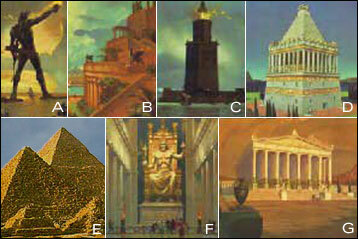 All Seven Wonders of the World have their own web page. Most people are unaware that the ancient Seven Wonders of the World list has some serious flaws. I succinctly describe each flaw. These ten facts make interesting conversation pieces. To give you an easy geographic frame of reference, I created a location map of the Ancient Seven Wonders with modern-day country borders.